【Bookmaker】Can the Hurricanes Put in a Repeat Performance? Super Rugby Action Takes the Field! Paddy Power & 888sport reveal the up-to-date odds on the 2017 Super Rugby season. How do the 2016 champ Hurricanes match up? 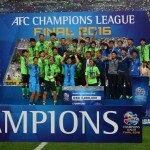 【William Hill】AFC Champions League: Who Will Control Their Own Destiny to Asian Supremacy? The oddsmakers at British bookie William Hill have spoken! Who has the inside edge to be crowned Asia’s #1 team? 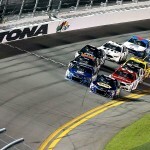 【Bovada】The Chase for the Monster Energy NASCAR Cup Series Commences at Daytona! Who’s Favored to Take the Checkered Flag? Bookmaker Bovada unveils the odds for NASCAR in 2017. Can Jimmie Johnson defend his title? 【Bookmaker】2016-17 Europa League: Who’ll Be the Last Team Standing in Solna? The odds are out courtesy of bet365 as Europa League action heats up! Which team will ascend to the throne once all is said & done? Oddsmakers for bet365 disclose the favourites & more as this season’s CL round of 16 action kicks off! Can Real run the table once again?